Steps allow the transition from one elevation to another. 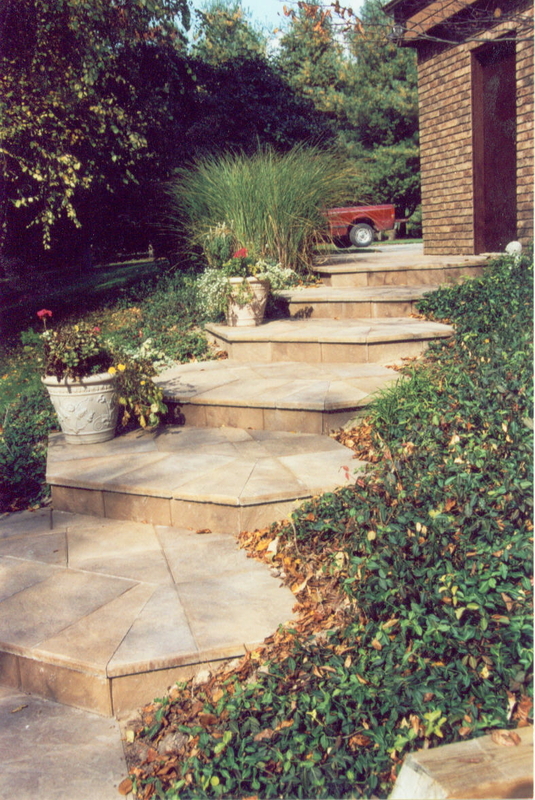 Steps can be constructed out of a host of different materials. Each of these materials give a different feeling to the garden, home and property. To determine the steps you need, we assess the feel of your garden and determine the material for design and functionality. 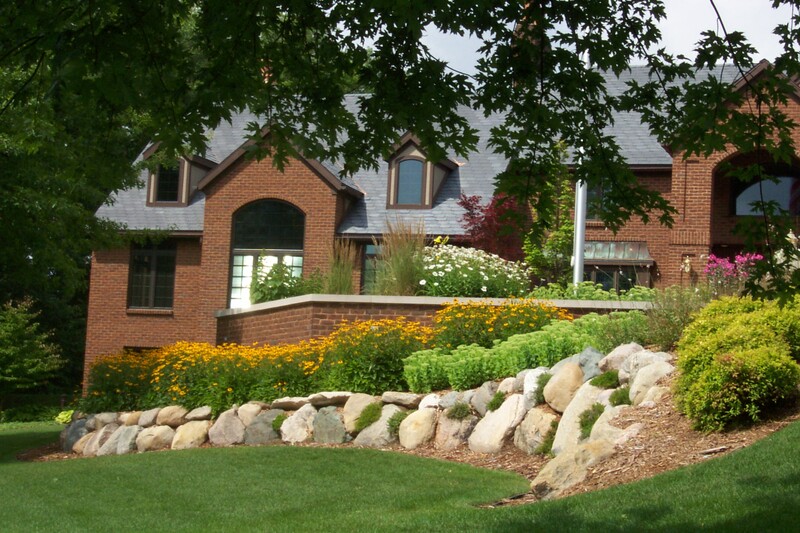 Retaining walls allow crisp elevation changes and maintain different levels in the yard. 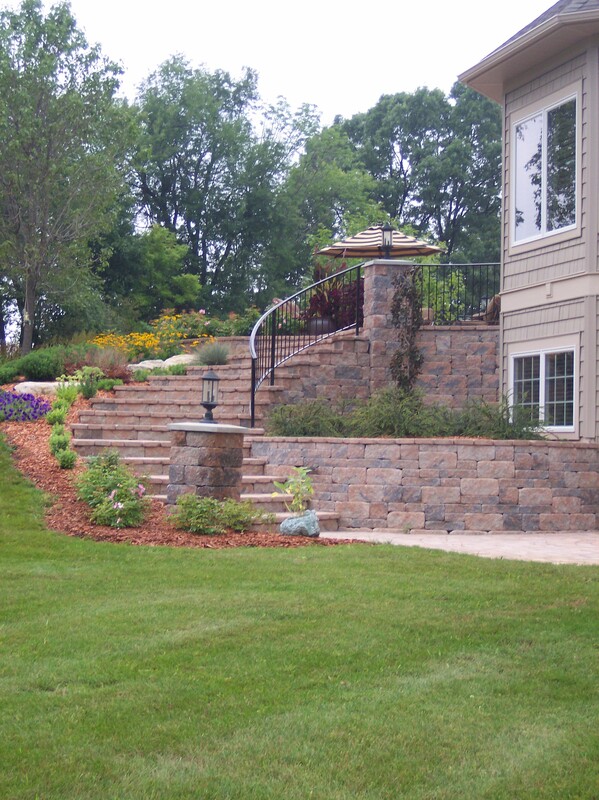 Retaining walls should only be installed if they are functionally necessary or esthetically pleasing to the garden. 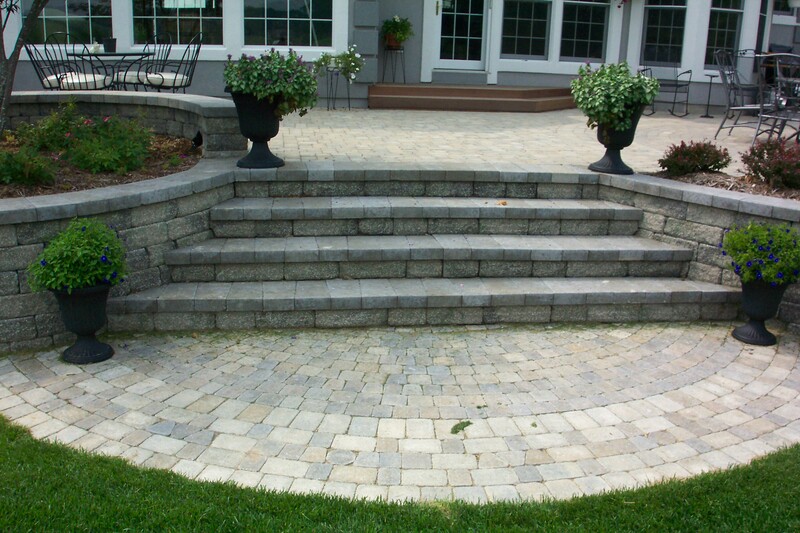 They can be as simple as a single row of boulders or as complex as multilevel segmented retaining wall. Walls can be constructed using many different materials, some as simple and natural as boulders, timber, or stone, to the segmented concrete retaining wall systems. All materials will give your project a different look and your garden a different feel. We would be glad to listen to your thoughts and address your style to give you suggestions on options that will help achieve the look you desire for your yard and garden.